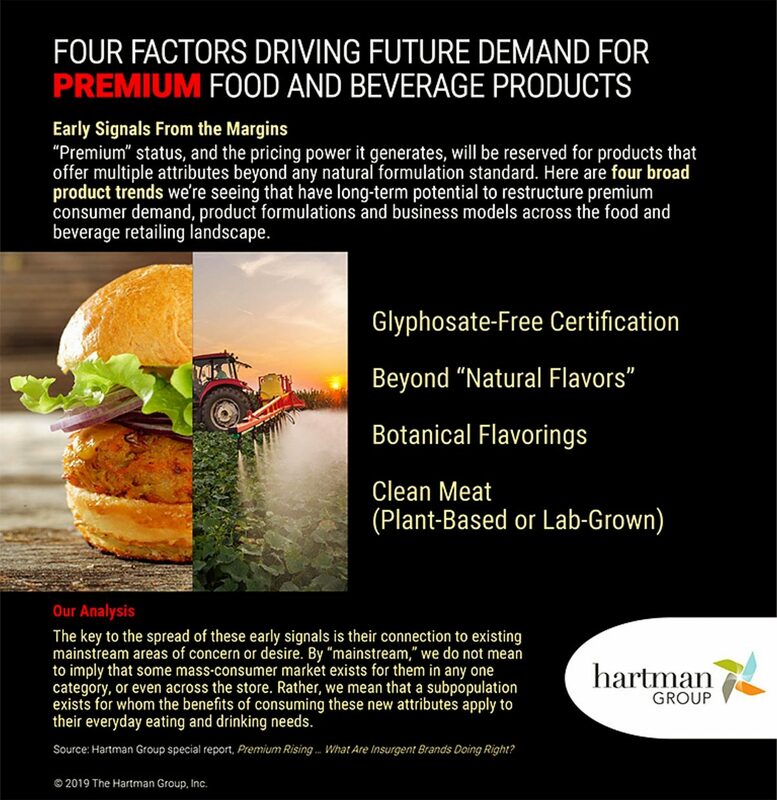 “Glyphosate-free” is now one of the four top “premium” descriptions for which food companies can charge higher prices, the Hartman Group said this week. “In a way, rising concern over glyphosate contamination in the food supply is a reawakening of much older environmental concerns about agricultural runoff and environmental contamination,” the report says. Meanwhile, amidst court cases over glyphosate-containing Roundup causing cancer, the stock price of Bayer has dropped as analysts have begun to question Bayer’s recent decision to acquire Monsanto, which makes the weed killing product.